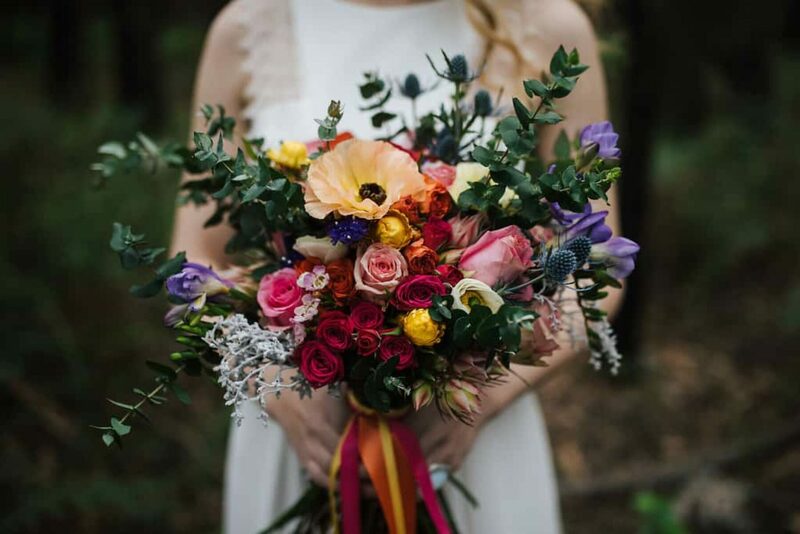 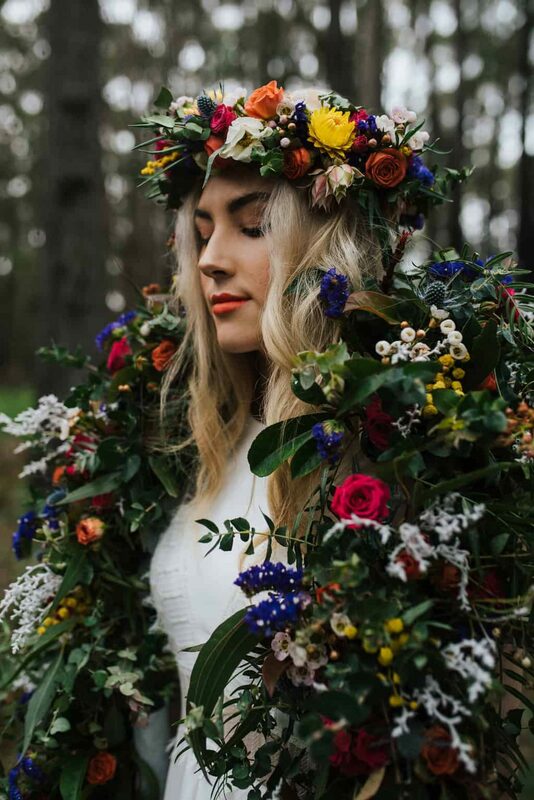 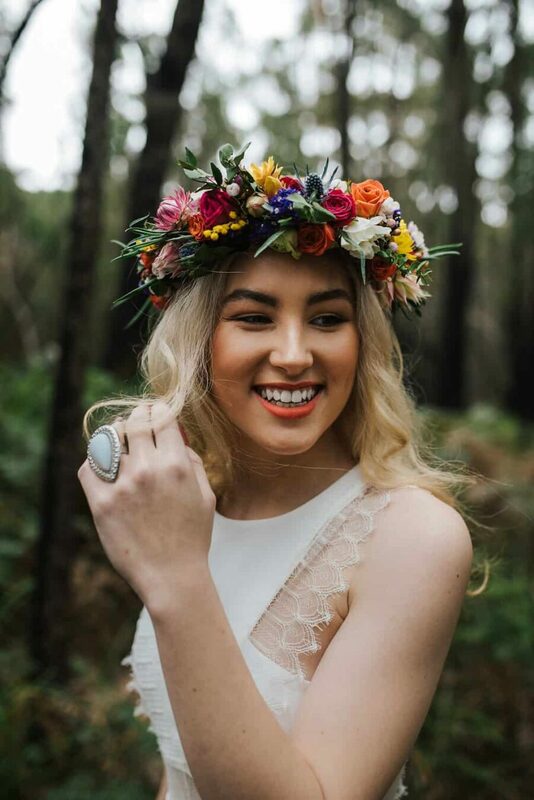 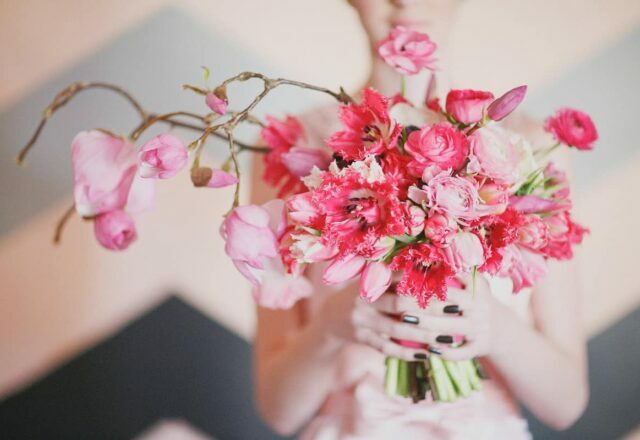 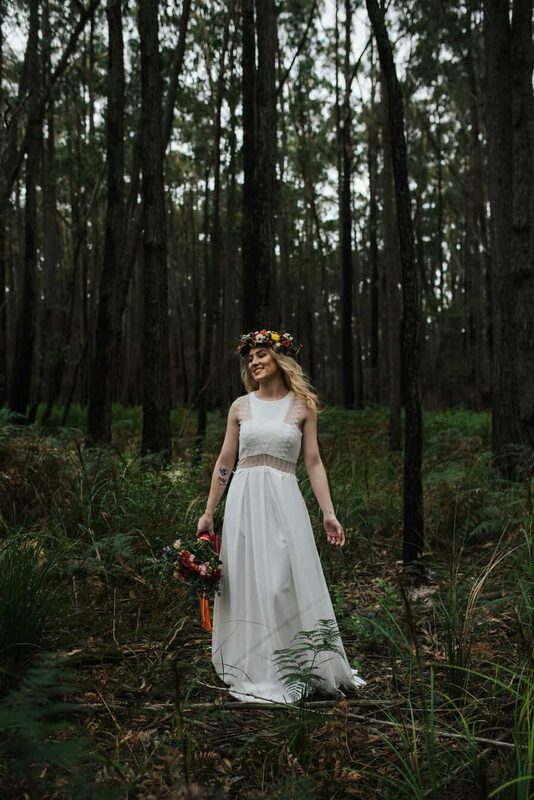 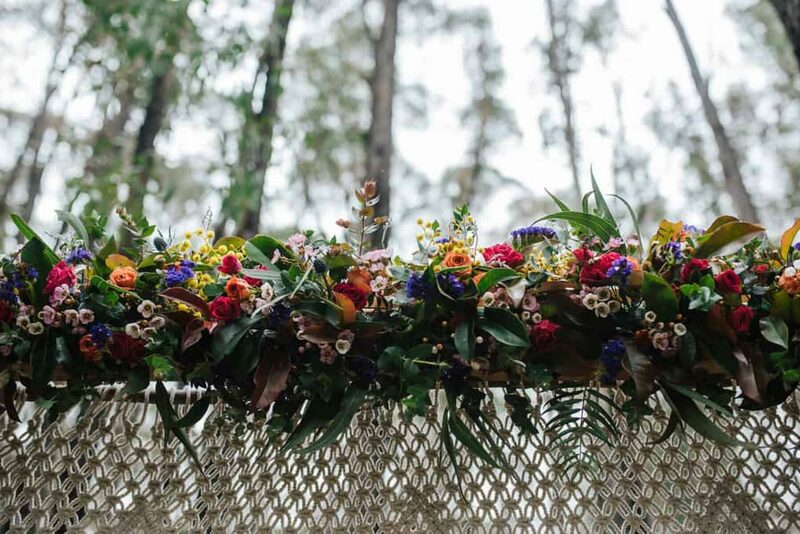 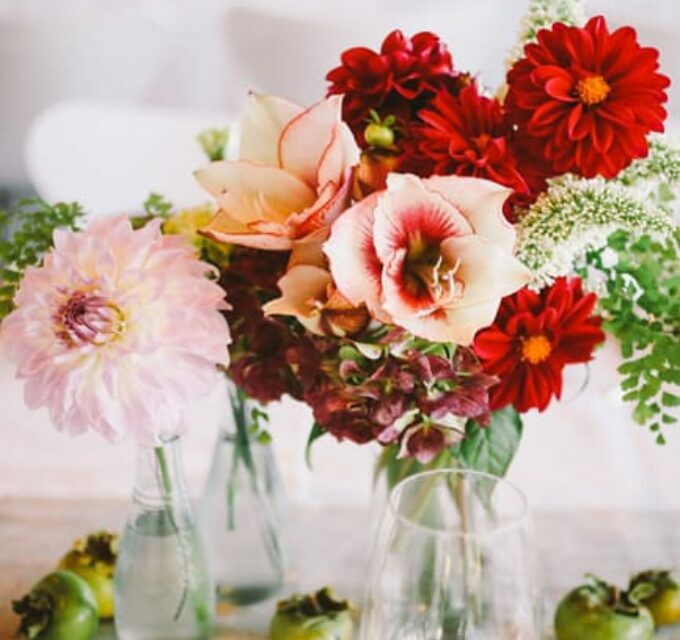 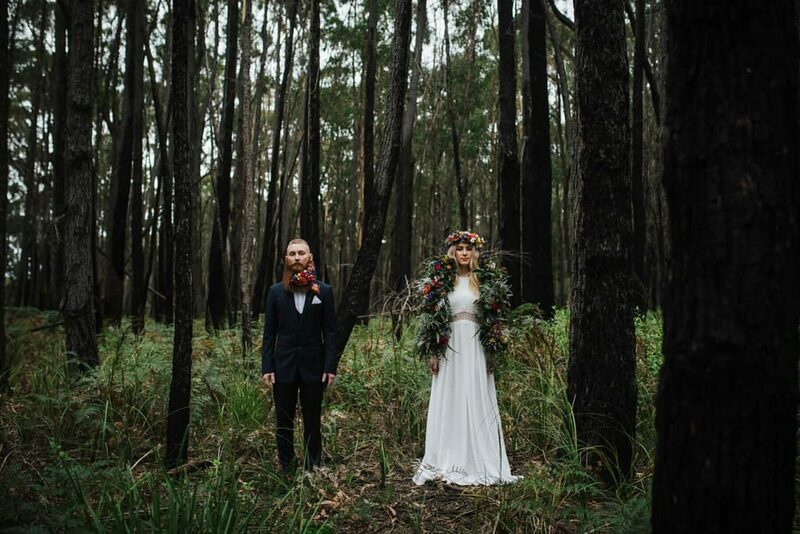 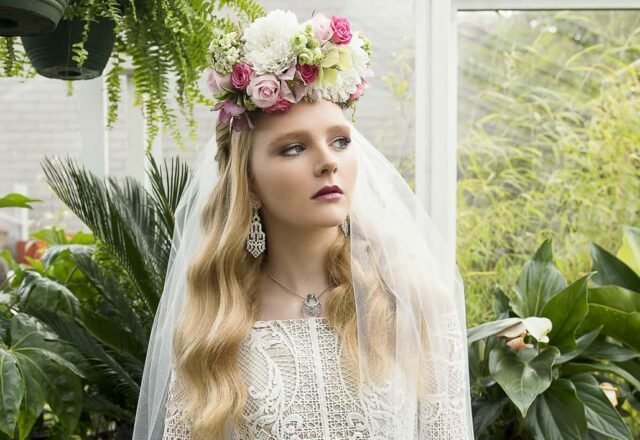 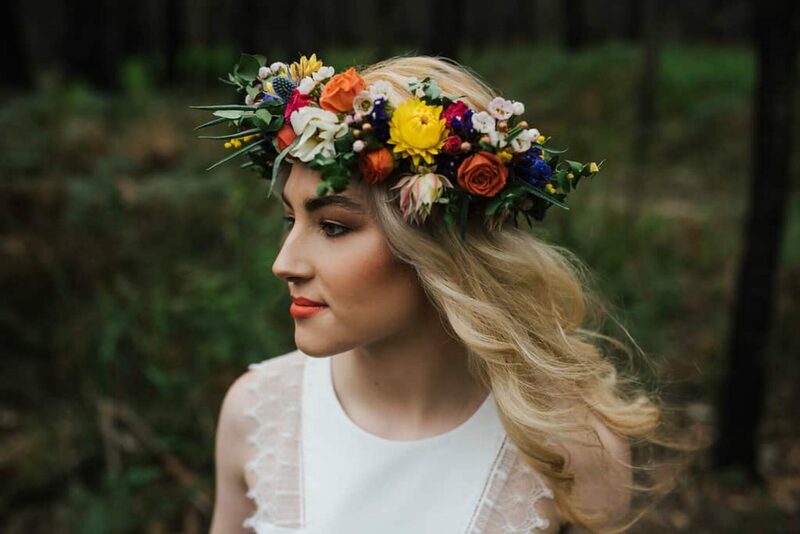 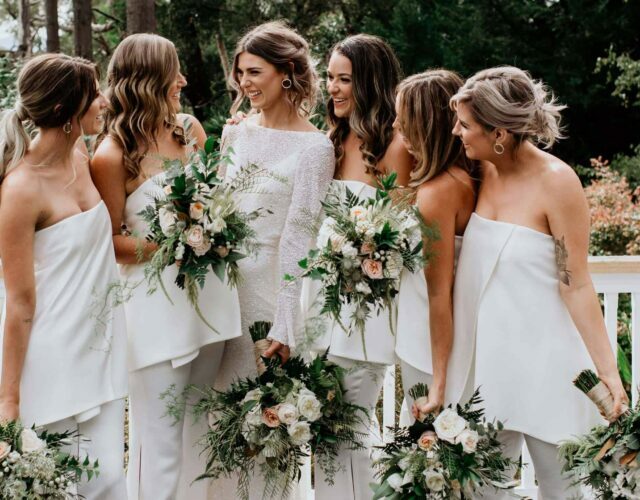 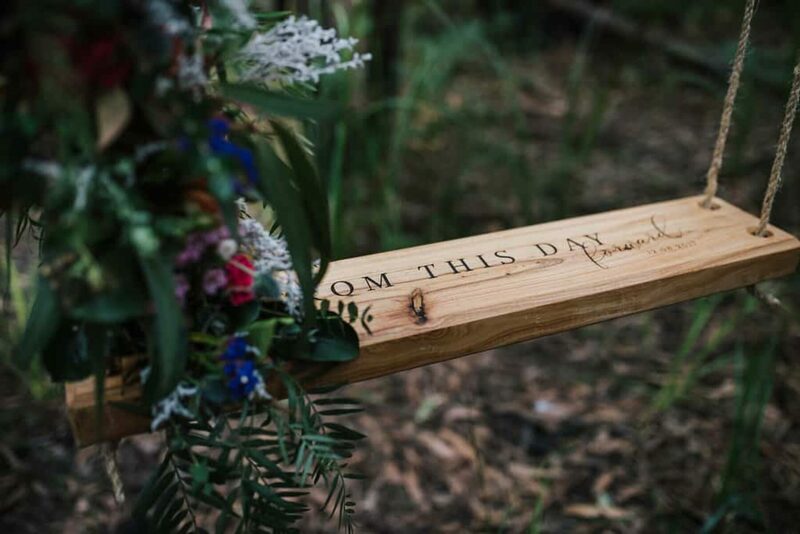 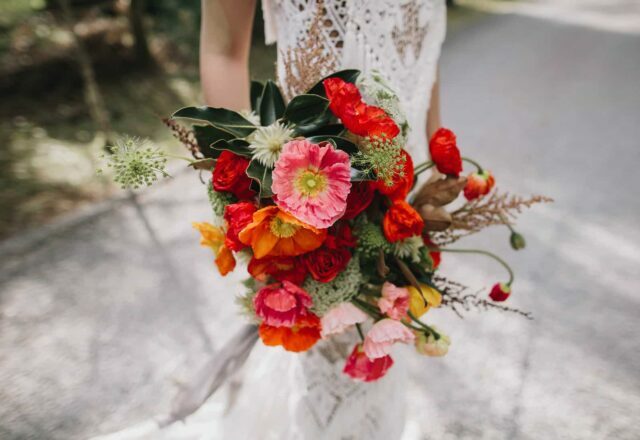 The team behind JCRC Events and Styling set bright spring blooms against the moody tones of the Australian bush for this fun floral shoot, captured by Tahnee Jade Photography. 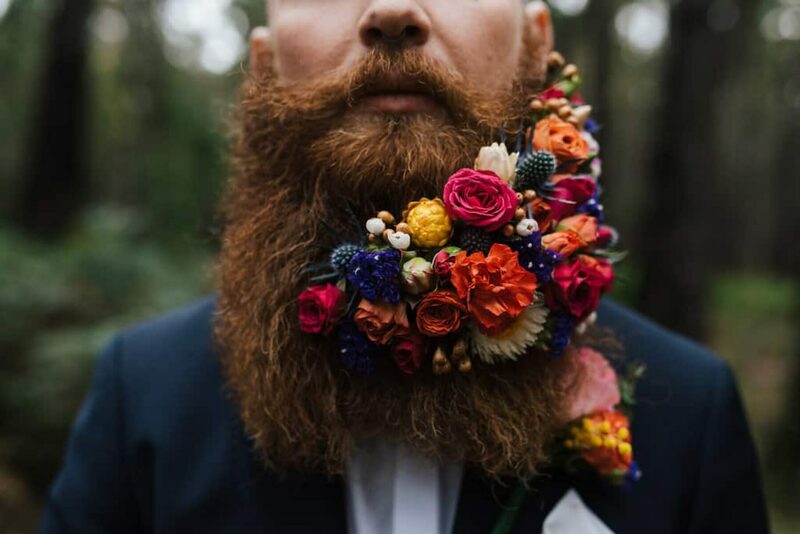 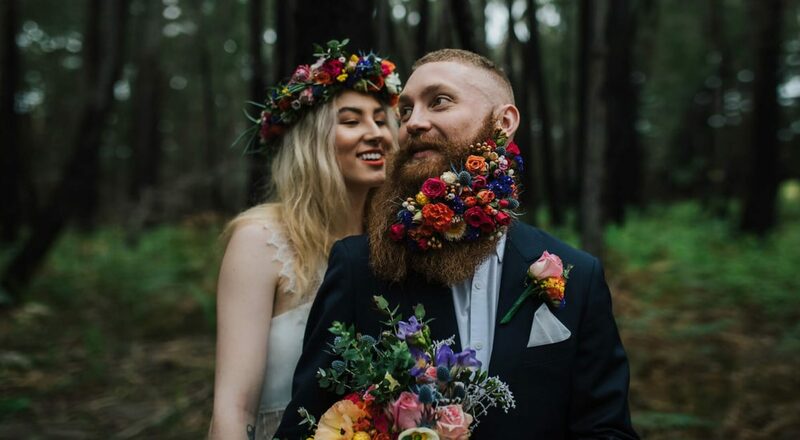 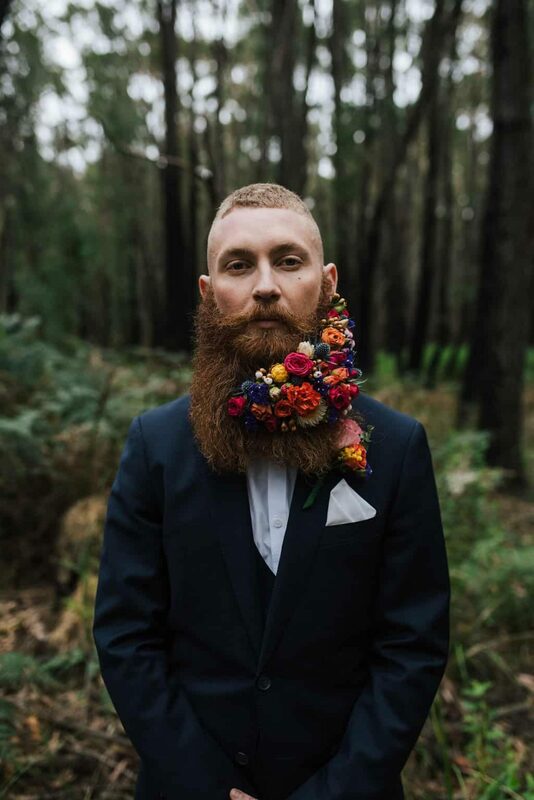 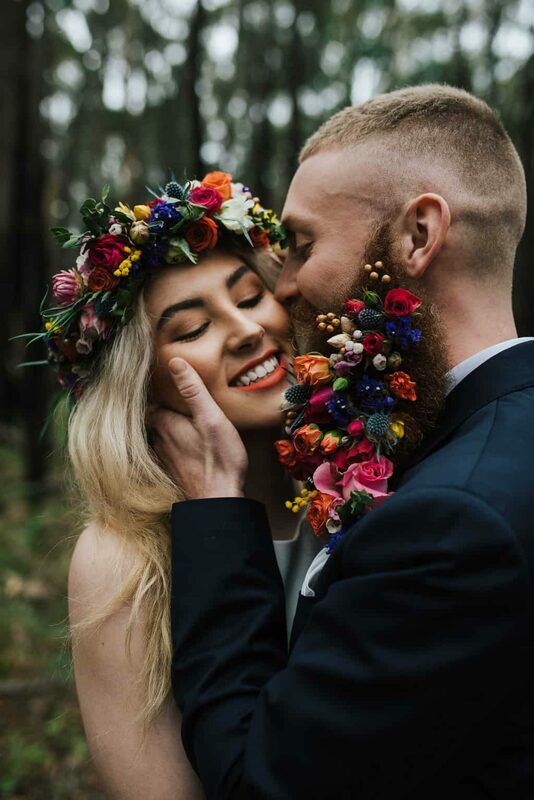 “The inspiration was born from a man and his beard, the perfect canvas for a colourful creation of fresh spring florals.” If Ned Kelly was re-imagined as mythical being, we think groom Shelby would be it. 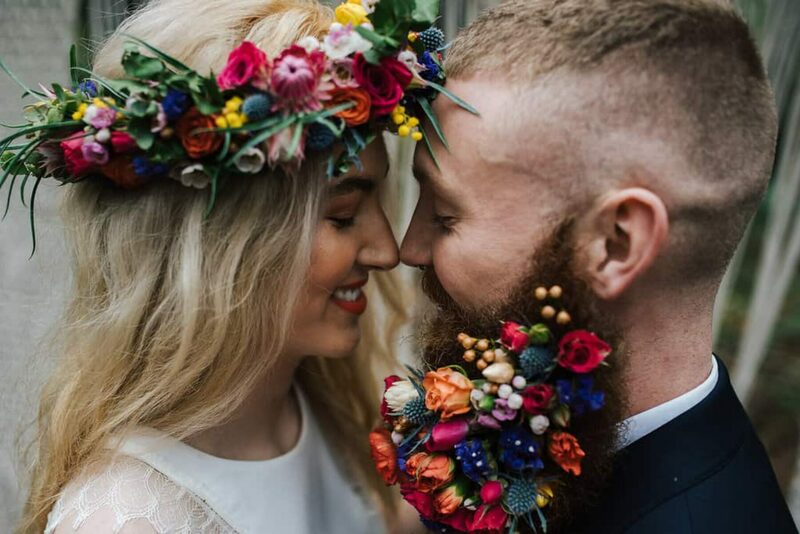 With bridal style to compliment her groom, Nashya wore a vibrant floral crown, with a stunning shoulder garland over her Amante Bridal gown. 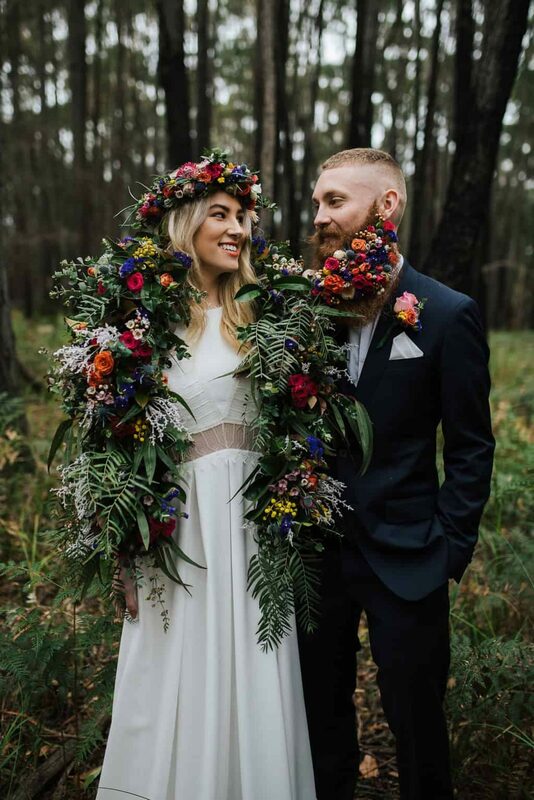 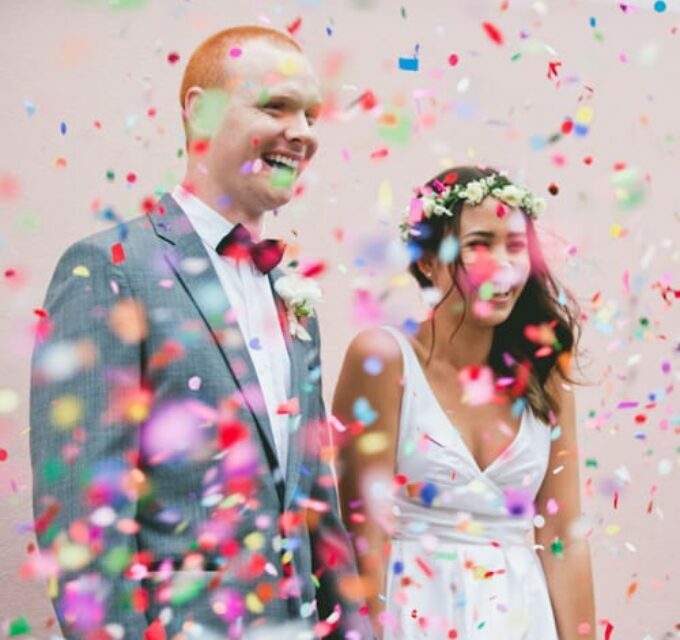 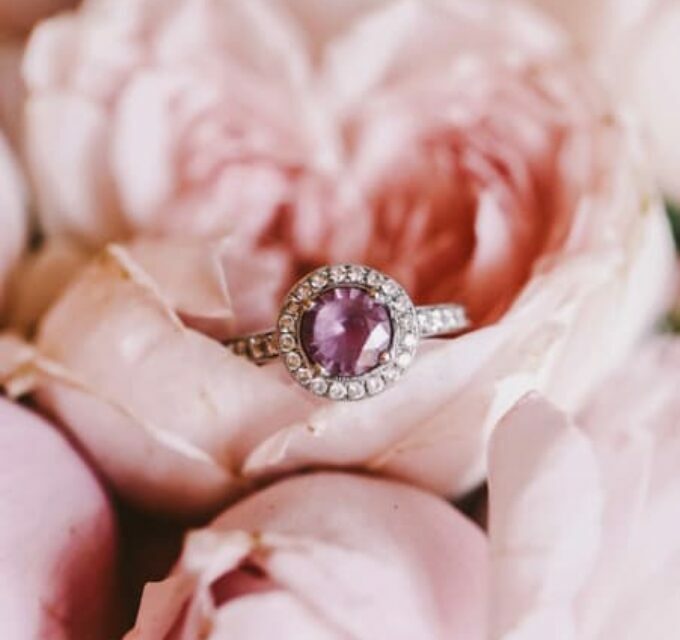 Looking for a location that would let their vibrant blooms shine, the team found it in the forest of Warragul. 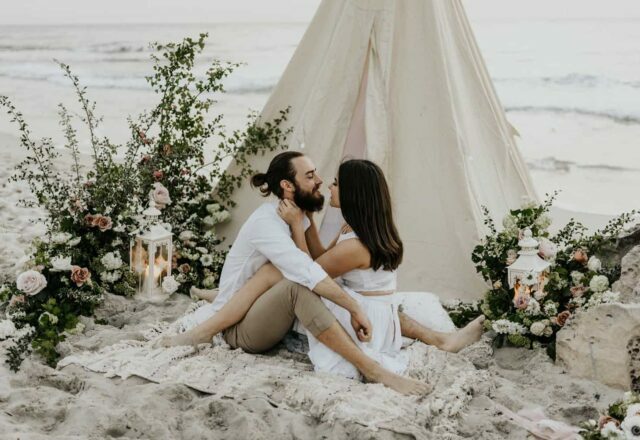 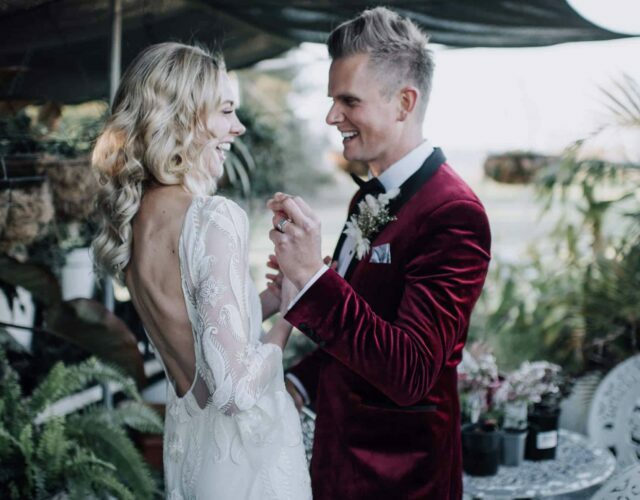 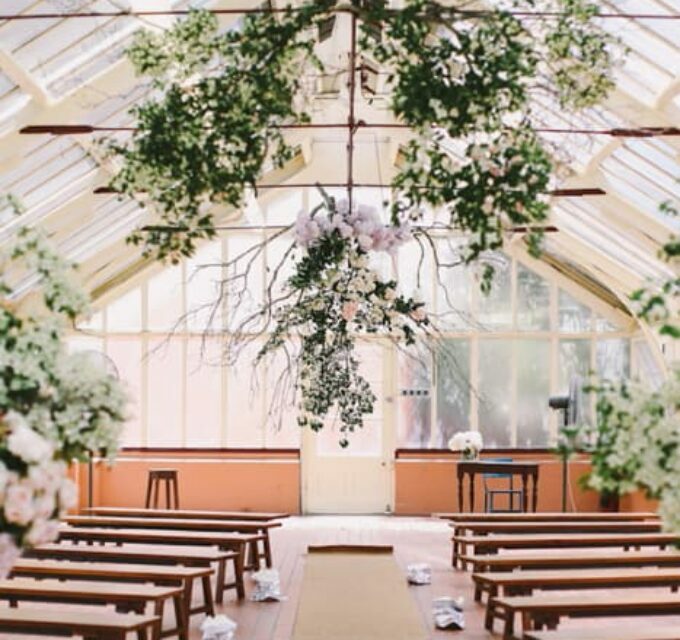 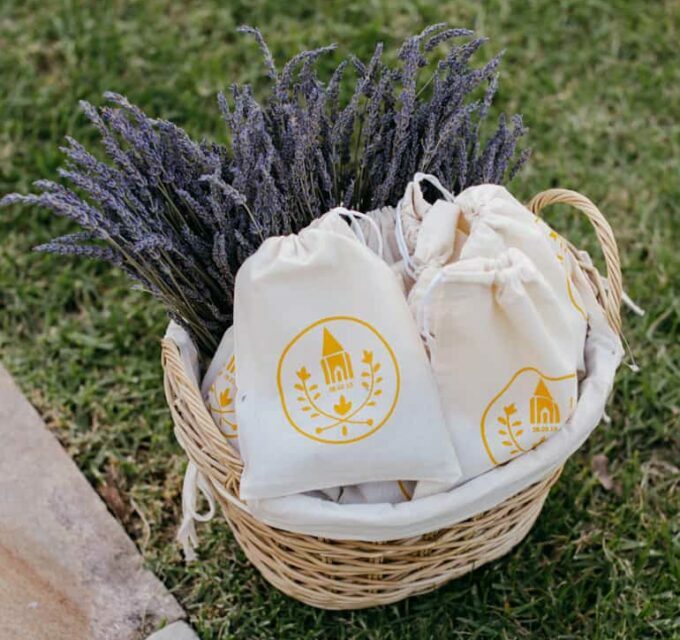 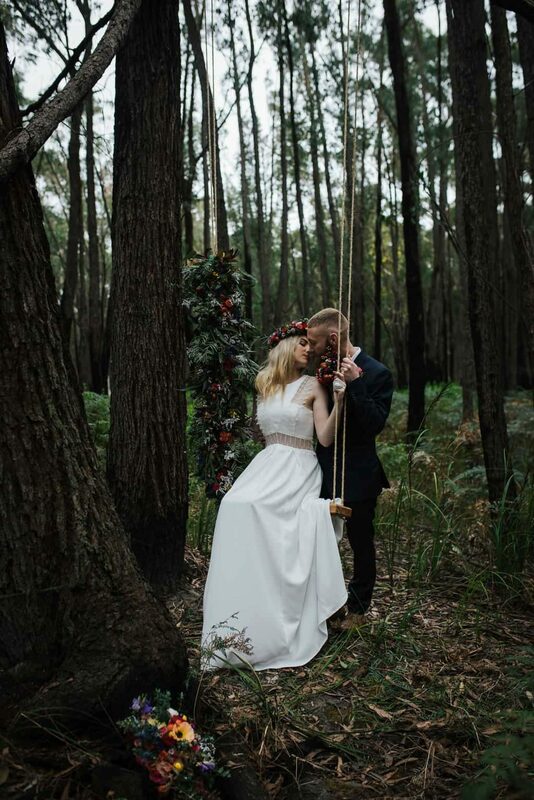 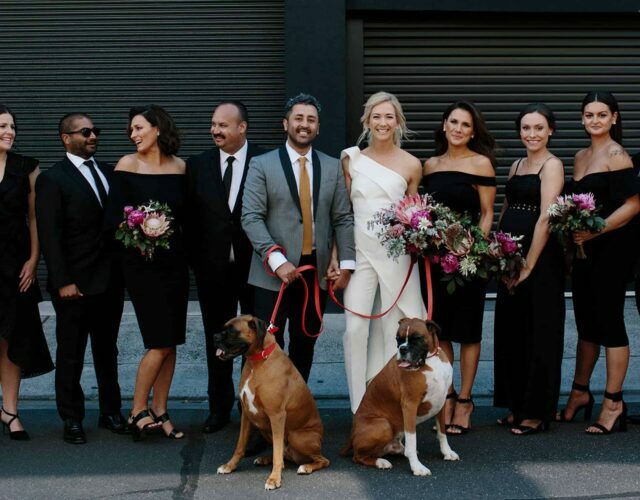 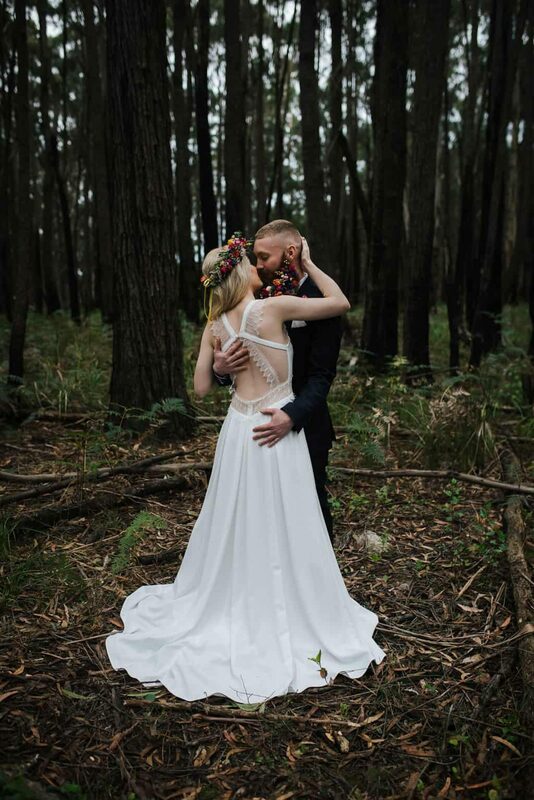 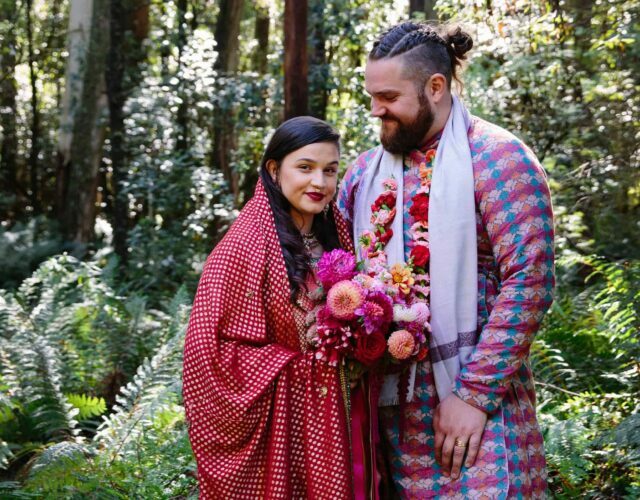 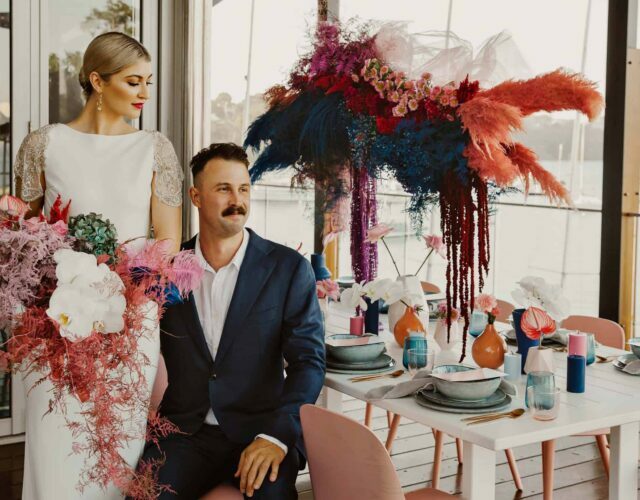 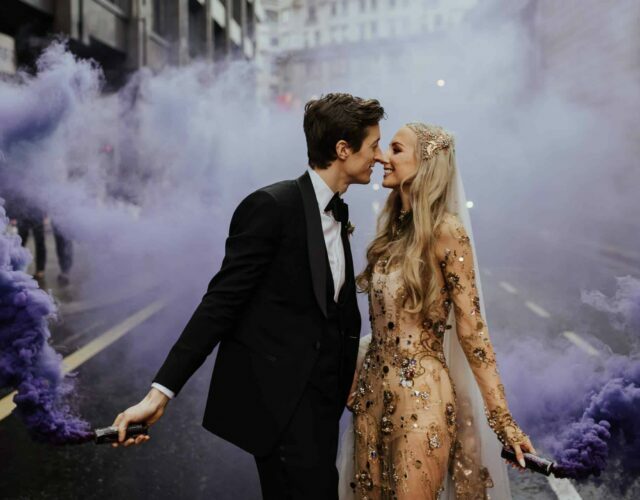 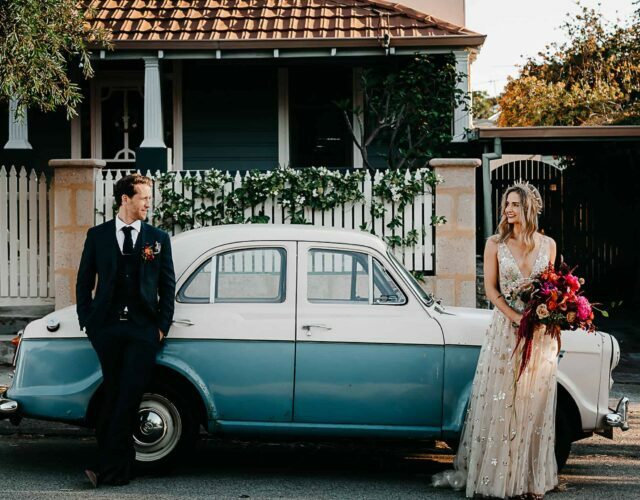 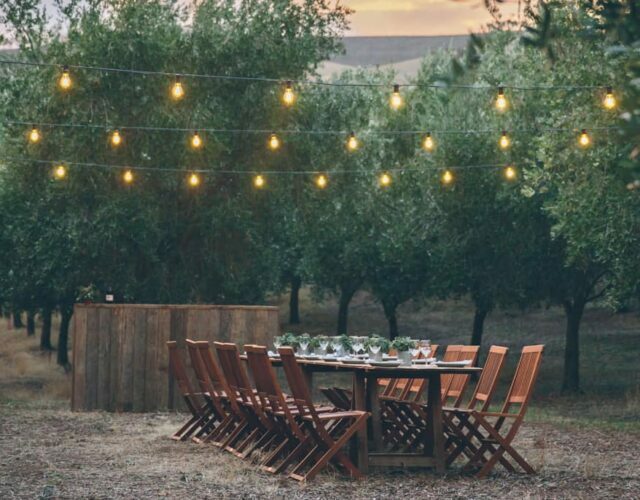 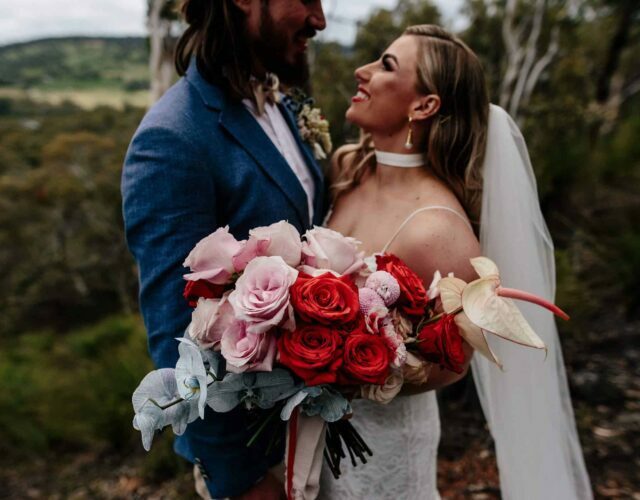 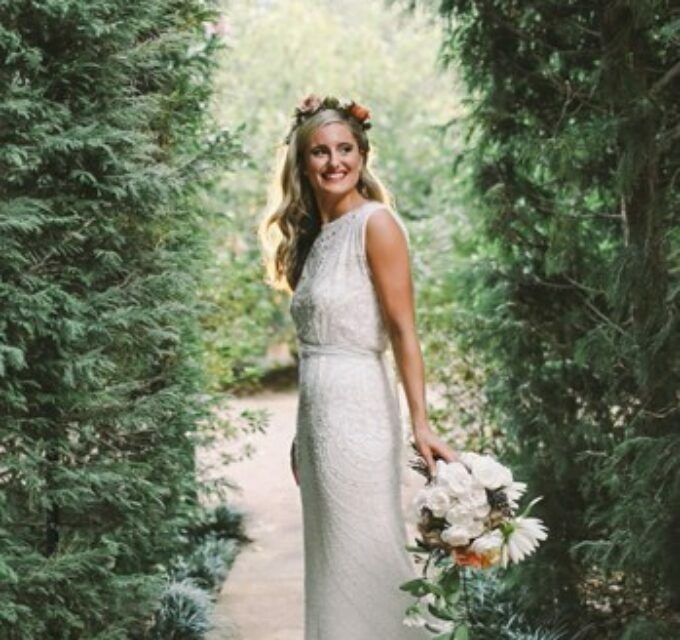 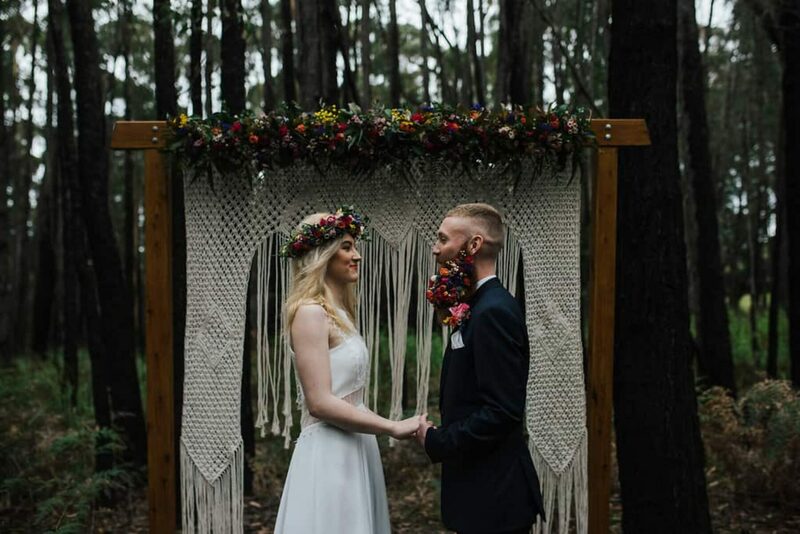 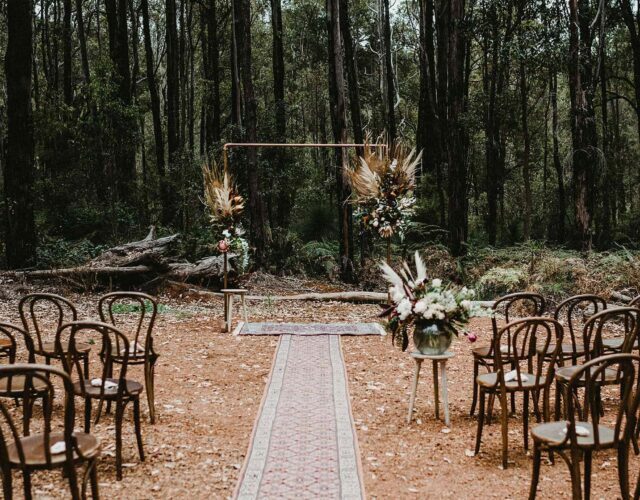 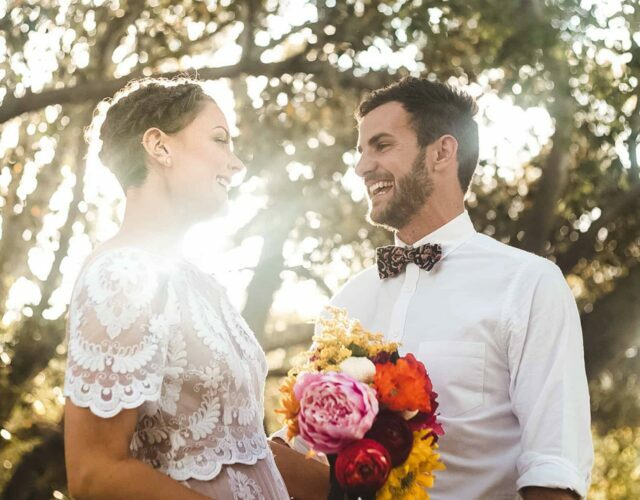 “Most of the tress were burnt black with subtle hints of green growth, creating the perfect backdrop for our floral colours to pop.” A macramé and flower adorned arbor completed the styling, with the addition of a handmade lovers swing made by Sketch and Etch Creative.